The number of drivers given fines by private parking firms has risen by 64% over the last year, renewing calls for a clampdown on the industry. Latest figures from the DVLA show a 64% surge in the number of vehicle keeper records being shared with firms. According to new data, the DVLA shared 1.74 million records with private parking companies in the first quarter of the 2017-18 financial year – up from 1.06 million for the same period in 2016/17. Extrapolated across the rest of the year, the increase would see a total 7 million records shared, up from 4.7 million in 2016-17. 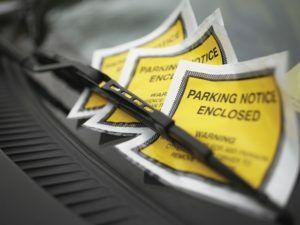 The surge in private parking fines follows the 2012 ban on clamping on private land and comes two years after the coalition government consulted on possible changes to the private parking industry. In response, a Conservative MP has tabled a bill to crack down on the private parking industry. Sir Greg Knight’s private members’ bill – Parking (Code of Practice) – aims to end industry self-regulation and had its first reading in the House of Commons last week. The RAC Foundation said the latest figures show self-regulation of the private parking sector has not worked and provide a stark illustration of why the bill is so badly needed.